Sustainability and quality go hand and hand with Hop-Syn synthetic papers. This is why big brands use it for in-store signage. 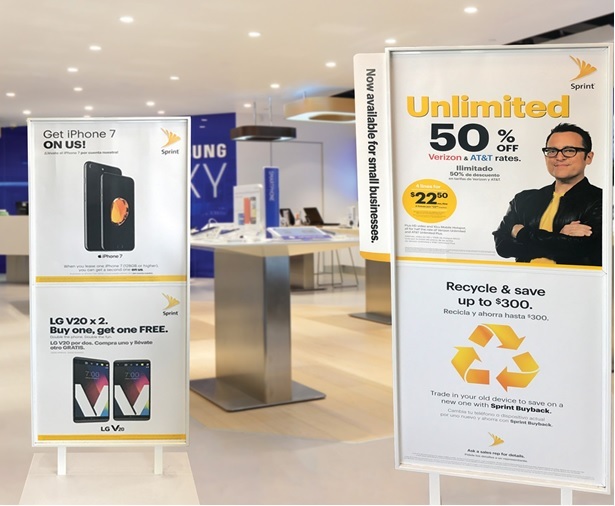 Its durability, quality, and sustainability meets — and exceeds — brands’ standards for P-O-P displays, banners, and more. With a white opaque, smooth matte finish, Hop-Syn synthetic paper offers the ability to print high-resolution graphics using conventional offset as well as UV inkjet digital printing. Hop-Syn is a tear-resistant, waterproof substrate that is 100% recyclable. Visit Hop-Syn or call 800.524.0757 for free samples or more information.